In their study, The Dynamics of Disaffiliation in Young Catholics, Saint Mary’s Press reveals extensive research on young Catholics who have left the church. This presentation will identify the underlying dynamics that lead to disaffiliation, describe the factors that reinforce those dynamics, and examine the implications for the Church and ministry with young people. We will hear about these issues from young people, in their own voices. We will examine the broader sociological shifts that enhance and diminish religious affiliation and engagement in secularized society. John M. Vitek currently serves as the president and chief executive officer of Saint Mary’s Press. He is the co-author of Going, Going, Gone! 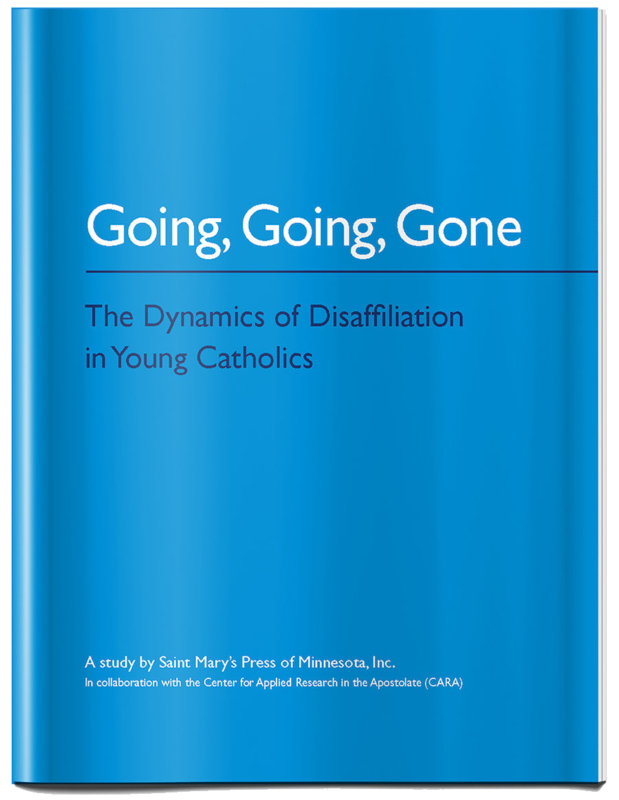 The Dynamics of Disaffiliation in Young Catholics (Saint Mary’s Press 2018). He has served in church leadership for 36 years, including as a parish minister and director of religious education, a diocesan director, and as diocesan chancellor. Join the conversation to be the first to receive news, updates, notice of broadcasts, and to find out more about our research on religious disaffiliation. Receive 20% OFF your order of Going, Going, Gone when you join the conversation.